We love fireworks, but since we live in the middle of Dallas, we can’t really set off our own fireworks. Every year, we watch the city set off fireworks, but there is something particularly satisfying about setting off your own fireworks. 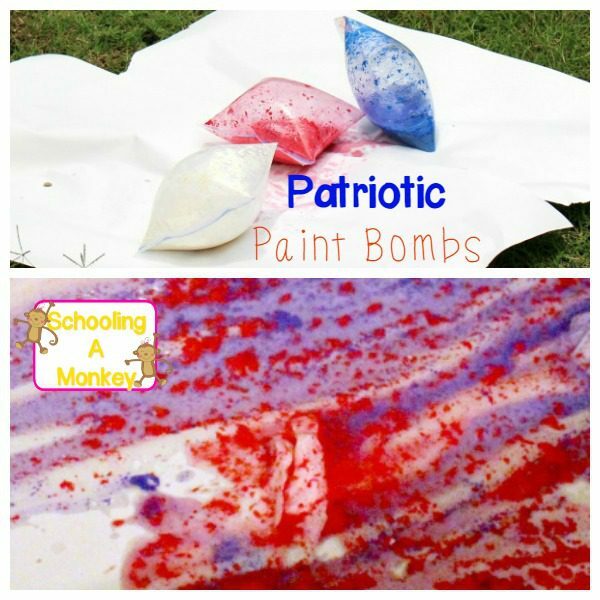 I decided to see if we could recreate fireworks using kid-safe materials and we came up with this design for confetti fireworks. 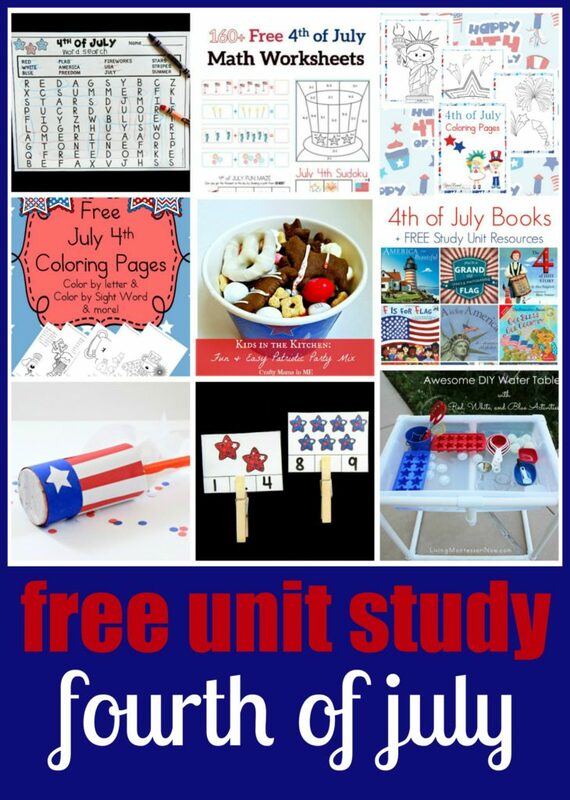 Even though we didn’t start out planning it, this project turned into an engineering activity for kids! It just goes to show you that almost anything can be a STEM activity if you approach it the right way. 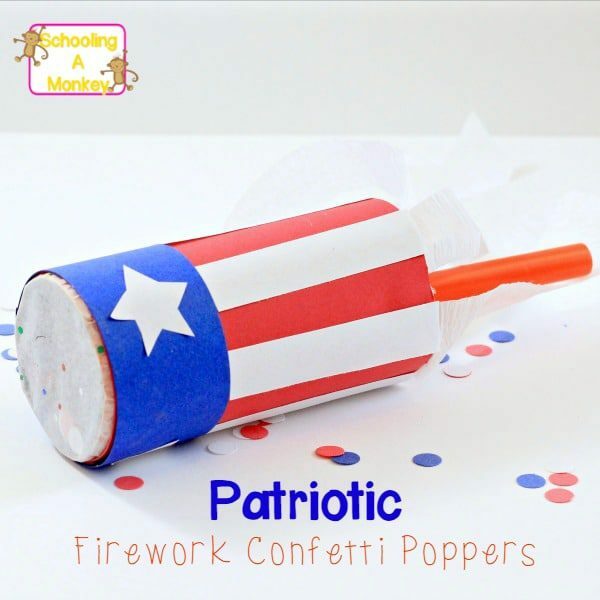 Use this guide to make your own confetti fireworks! 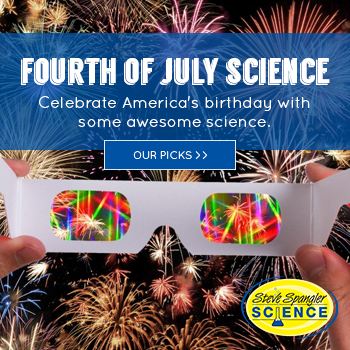 Find out more about the science of fireworks here. First, you have to eat your push pops to get the containers. 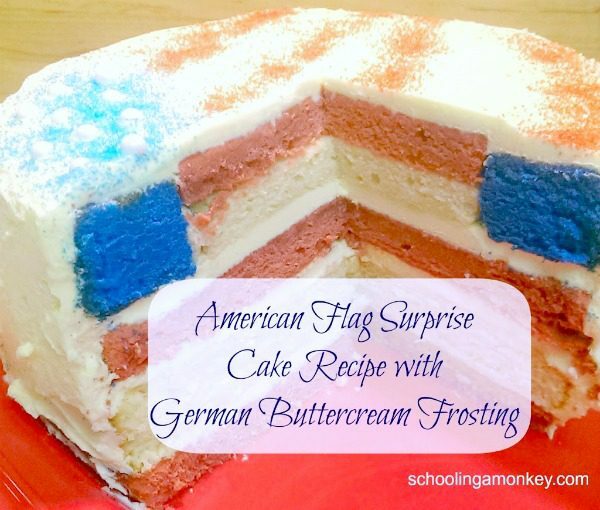 This is something your family will love doing. Wash out the containers when you are finished with them. After our containers dried, we realized that the pop was too hard to push. The confetti wouldn’t be able to explode out of the container if it was that tight of a fit. So, we decided to cut the cardboard tubes lengthwise and expand them slightly with scotch tape. We applied tape along the seam leaving about a 1/8 inch gap. This made the push pop stick glide up and down easier. Next, we strengthened the push part of the pop by gluing a drinking straw around the existing handle. This made it slightly longer and easier to push without hurting your hand. 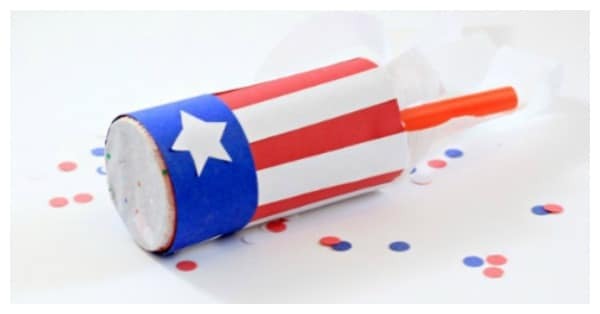 We added small pieces of straws cut at an angle to the top of the push pop to make it easier for the confetti to explode out of the popper like a real firework. We placed the completed pusher back inside the cardboard tube, leaving about 2 inches of space between the floor of the pusher and the top lip of the cardboard tube. We filled this space with confetti made by punching holes out of red, white, and blue paper. We glued a piece of tissue paper to the top of the tube to keep the confetti inside. 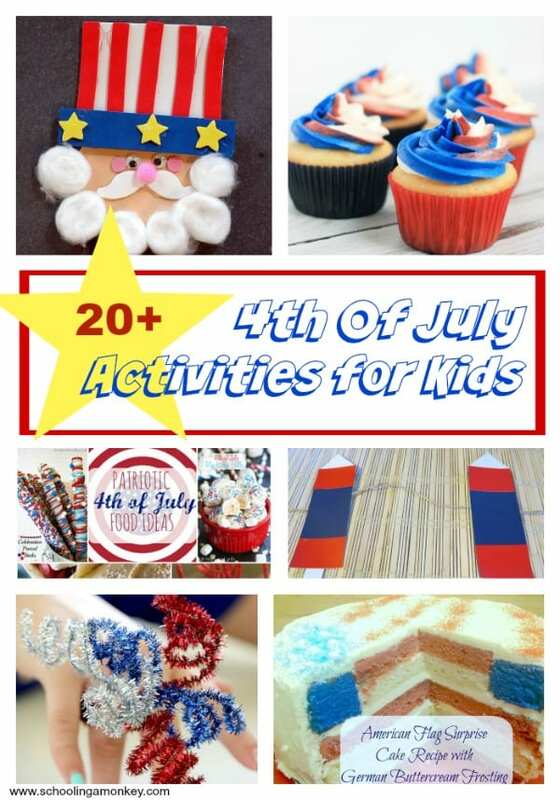 We decorated our confetti fireworks by covering them in patriotic paper designs. Monkey and I worked together to make seven different designs. We used a combination of paper, stars, and washi tape to complete our designs. 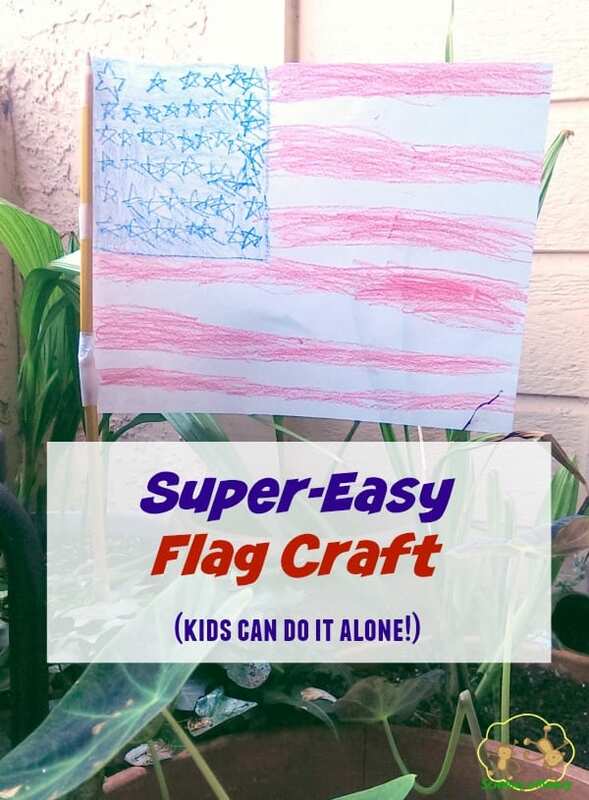 If you want to take a shortcut on this part of the process, you can simply purchase patriotic scrapbook paper and glue that around each cardboard tube. We added streamers to the bottom of the confetti fireworks by gluing crepe paper to the inside of each popper to make them more festive. 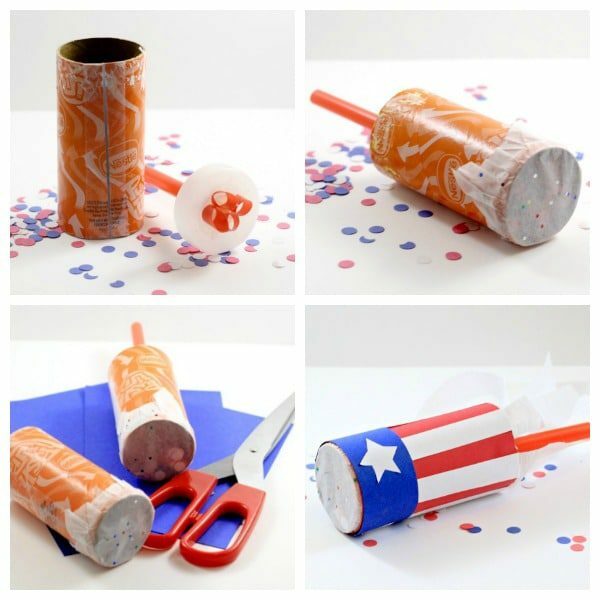 When you want to fire the confetti fireworks, hold the cardboard tube upright and push the push pop stick up with the palm of your hand. 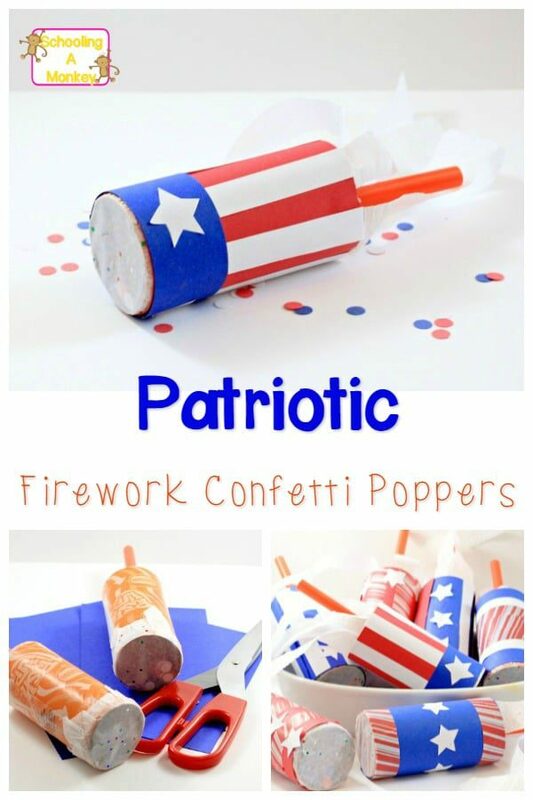 The confetti pieces will explode out of the end of the confetti popper just like real fireworks. The best part is, there are no actual explosives used in these fireworks so they are safe for all ages. 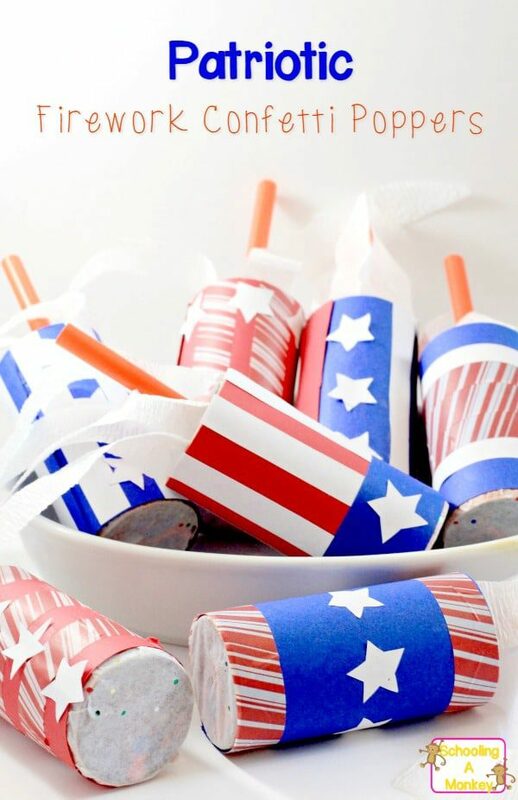 When you are done exploding your fireworks, you can add more confetti and tissue paper to the confetti fireworks and reuse them.